Update: The monitor is now available on Amazon. The Samsung C43J890 is essentially a smaller 43″ version of the 49″ Samsung C49J890. However, it will provide you with a higher screen resolution and pixel density due to its different aspect ratio of 32:10 as opposed to the 32:9 format of standard 49″ super ultra-wide displays. Other features include a rapid 120Hz refresh rate, a high-contrast VA panel, and an extensive connectivity and ergonomic options. Based on a VA panel, the Samsung C43J89 boasts a contrast ratio of 3,000:1 which will ensure true black colors. The panel also offers a standard peak luminance of 300-nits, wide 178-degree viewing angles, 8-bit color depth covering the standard sRGB gamut, and finally, a 5ms response time speed. The 3840×1200 resolution provides a pixel density of roughly 93 PPI (Pixels Per Inch) on the 43-inch screen of the Samsung C43J89 monitor. The same pixel density can be found on a 24″ 16:10 1920×1200 monitor. 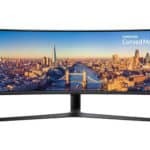 In fact, the Samsung C43J89 is basically two 24″ 1920×1200 monitors put next to each other, just without the bezel in-between which makes it a practical replacement for dual-monitor setups. Furthermore, using the Picture By Picture mode, you can simultaneously connect a PC and a laptop, for example, to the monitor and have half the image for each device. The Samsung C43J89 also features a built-in KVM switch, so you would be able to use just one set of keyboard and mouse to control both devices on-screen. Unfortunately for AMD users, the monitor doesn’t support FreeSync. But thanks to its refresh rate of 120Hz, you will be able to enjoy an immersive and responsive gameplay. 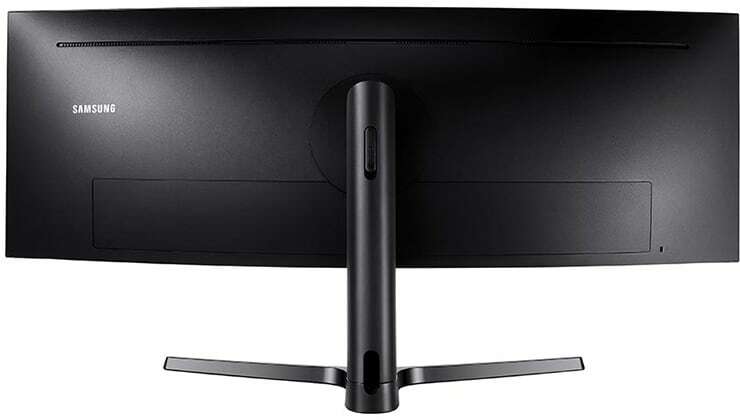 The Samsung C43J89 120Hz monitor offers rich connectivity options including an HDMI 2.0, a DisplayPort 1.2, a dual USB 3.0 hub, two USB type C ports, and two audio jacks – one for the headphones and the other for the 5W integrated speakers. Moving on to the ergonomics, you can elevate the screen up to 120mm, tilt it by -2/17 degrees, swivel to the left and right by 15 degrees, and finally, VESA mount it using the 100 x 100mm pattern at the back of the monitor. 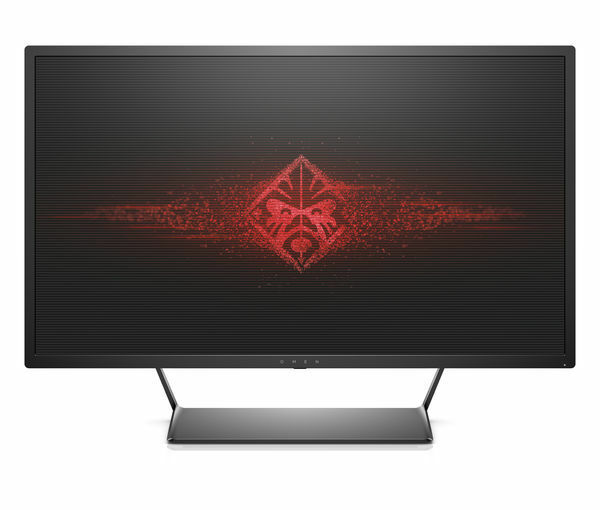 The monitor also features an aggressive 1800R curvature which along with the super ultra-wide screen wraps your peripheral vision to make the viewing experience more immersive and intense. The Samsung C43J89 price amounts to $900 MSRP which is a bit much, but we expect the price to drop fairly soon. 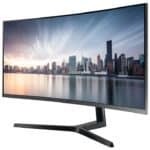 If you are looking for a similar monitor, check out the Samsung CHG90 which sports a bigger screen and premium features such as HDR, 144Hz, FreeSync 2, quantum-dots, and more. You may also want to keep an eye on Philips’ super ultra-wide display, the Philips 492P8 with a 5120×1440 resolution.